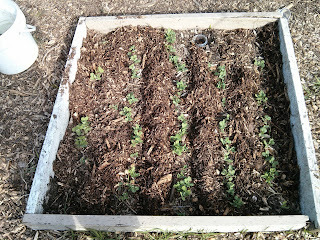 Healthy Horizons Family Farm: Spring is here...? 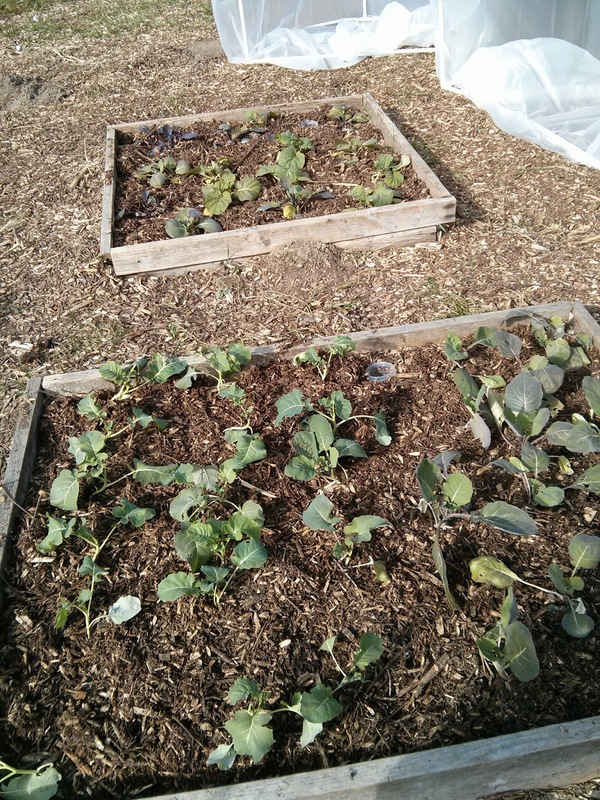 The plan was to do this sort of transplanting and bed preparation last week but we had an unseasonable (though, not unheard of) cold snap with freezing temperatures and even snow! I'm so glad I had those row covers because I'm sure they made the experience much easier for what was already outside. Unfortunately, my poor leafy greens that were started in a shallow tray under the grow lamp were a bit root bound. 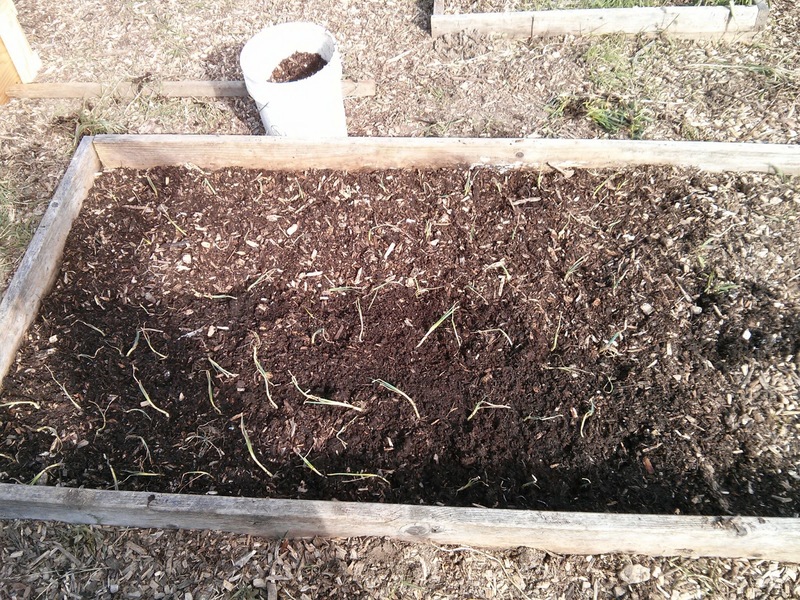 I'm afraid their shallow root systems might not make the transition to the outdoors very well. We'll just have to wait and see. 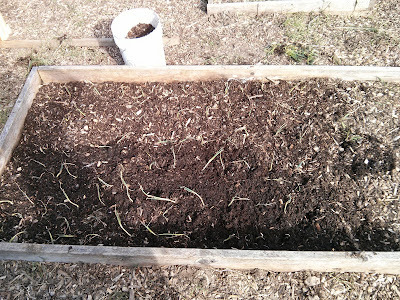 First, I knew I needed more potting soil for future planter starts so I scraped off the top 1 inch off the largest bed which, incidentally, didn't get much use last year. What was below the dry cover layer was a beautiful, aromatic, moist, rich peat. 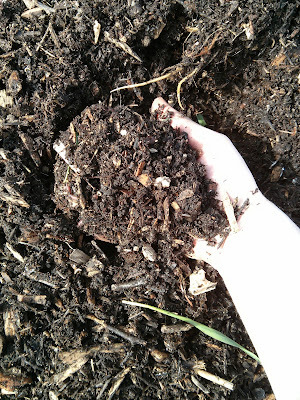 The stuff you only wish came in the bagged potting soil! And once I took a generous two inches from the entire bed there was still two more inches of the amazing stuff below. Potting soil. It is even darker and denser than it appears. I may be white, but I'm not that white! 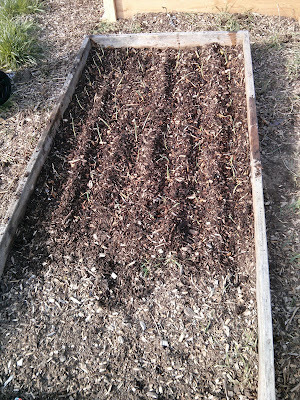 I then set my walla walla onion sprouts in rows and used the covering mulch to bury them appropriately. The roots are directly contacting the potting soil-like material for easy nutrient retrieval but the mulch on top provides the water retention and warmth for this year as well as the organic material to create perfect potting soil next year. The only difficult thing about using the "Back to Eden" method is I've had to unlearn some of the things I was doing previously to "maximize my space." 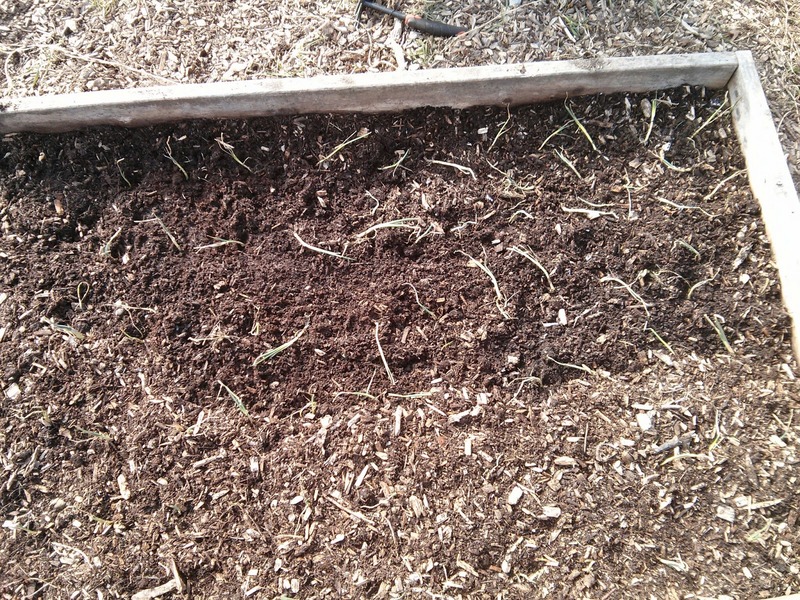 Intensive planting doesn't allow the room required for mulch to do its job. Therefore you must amend the soil with appropriate amounts of compost, peat, vermiculite, etc. 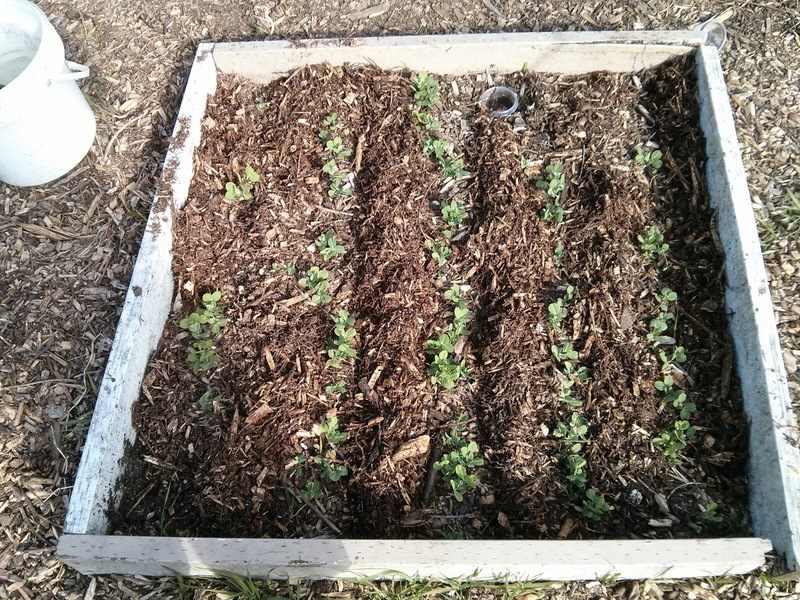 because you are removing nutrients from the soil much faster than you are putting them in. 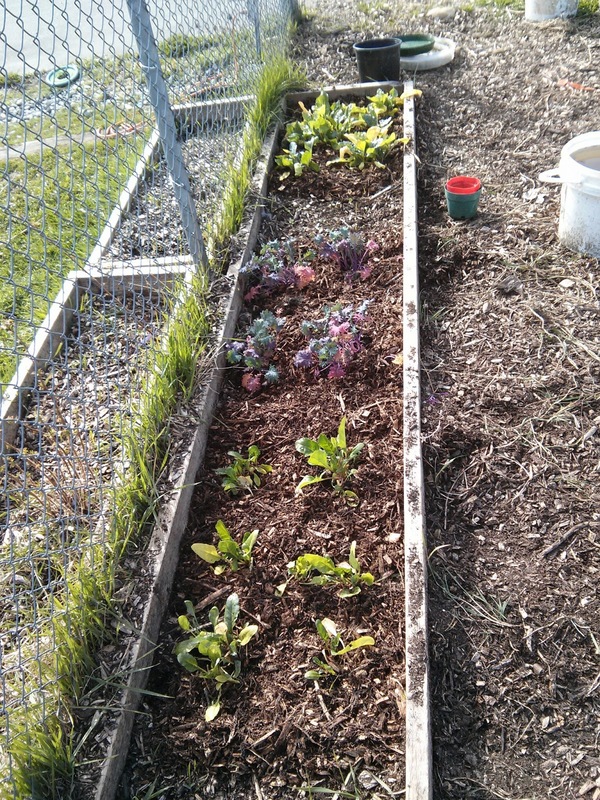 If, however, you have the space to spread out your plants just slightly then heavy mulching will save you a lot of time and money, besides closing the nutrient gap year after year. 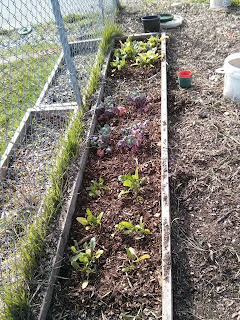 So far, I have saved money on water bills, compost, and potting soil. 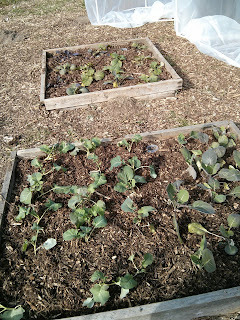 Now that the broccoli and cabbage have grown a bit I can fit more mulch under the first leaves without suffocating them. Transplanted and mulched spinach and kale.